Ms. Zeger’s practice focuses on property insurance defense, construction defect matters, as well as business disputes. She also has experience in coverage matters and business formations. In her career, Ms. Zeger has helped clients with litigation from inception through to favorable conclusions. She has significant experience practicing in courts throughout Texas and has represented clients from all over the state and across the country. 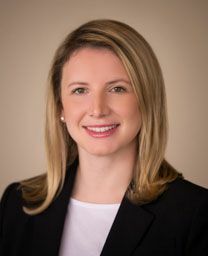 Ms. Zeger received a Bachelor of Arts degree in Politics in 2009 from Washington and Lee University and her Juris Doctor in 2013 from Washington and Lee University School of Law.